This is the eighth part in the series about the management of QC inspectors in China. Different companies give different job descriptions to their inspectors. I don’t think there are “best practices” here, but this is an important topic and I want to cover it. Inspectors should collect and report information. They should not take decisions, in order to reduce risks of bribery. Similarly, they should not try to solve the problem with the factory. The goal here is to maintain a level of objectivity. It doesn’t mean they shouldn’t collect more information when they see a problem — for example doing a Pareto chart, observing what appears to be the point of cause, and gathering more data. What I mean is, an inspector should let the factory work on determining root cause(s) and testing countermeasures. She should not get involved in any decision. This way, when the time comes to check again, the inspector doesn’t feel she has to make a point. In addition, she usually doesn’t know the processes as well as the factory employees, so making a mistake is easy. QA = all the activities that aim at ensuring a certain level of quality. It includes defining what the requirement are + setting up a proper management system + QC. QC = only the activities that consist of checking whether conformity is achieved or not. 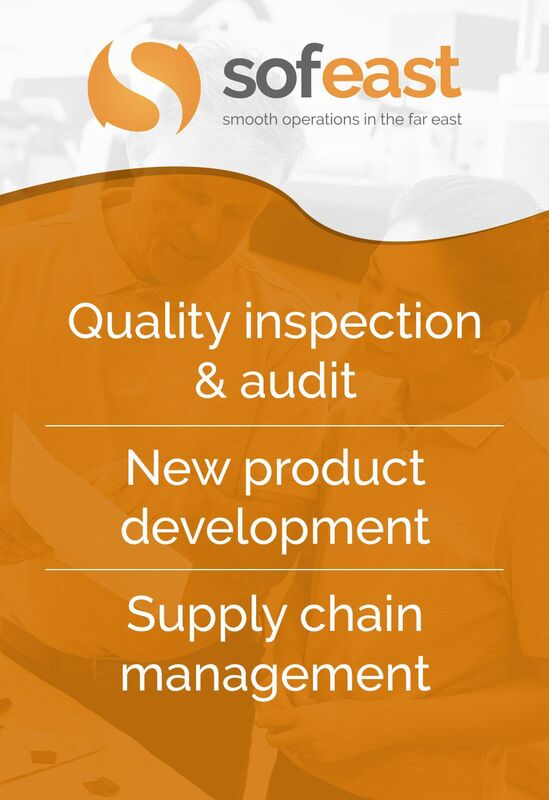 In the context of an importer who needs to secure his product quality, QC means checking if the specs are respected in production, and it translates into 2 types of activities: on-site inspections (statistical quality control) & laboratory testing (only on a few samples taken out of bulk production). Some buying offices have a QA team and a QC team. The QA team tries to make everything go smooth. The QC team keeps the factories and the QA team honest and effective by checking their work. I think it makes a lot of sense. What other roles for your field quality staff? Quality inspectors compare production to specifications. It is an entry-level job. Quality auditors look at the quality systems. They point out any hole that might result in a quality problem not being noticed early enough. They also ensure the feedback loop is in place, so that issues result in fixes at the source in a timely manner. Quality engineers look at production processes and the way they are laid out. They look into serious issues and help the manufacturer implement effective and lasting corrective actions (and quality auditors will follow up and check if they are still in place in the future). They also try to suggest improvements that will impact quality and productivity. And they often work on new product developments with the manufacturers. Most QC inspectors can read and write English. They went further than secondary school — many of them have a bachelor degree. They were often hired as an inspector as their first job. In other words, they have never worked on a factory floor, either as an operator or as an engineer. As a consequence, the best quality engineers are often hired after a first experience in a factory, and they seldom speak English. In most cases, you should NOT count solely on your staff’s experience. They should follow a process. Quality engineers are seldom given a formal process to follow. We have a plastic material cracking problem. We changed the mold dimensions. Still cracked. We changed the molding process parameters. Still cracked. We changed the assembly method. Still cracked. We annealed the parts after molding. Still cracked. We changed the material. No cracks. It must be the material! The reality is, the material was perfectly fine. It was just that it had not been dried correctly before use. Root cause analysis — they often remain at a superficial level. Followup — finding what to do is great, but will it really be done consistently? Renaud, once again on the money, also just because someone is a good QC does not mean they will be a good QA. I read with a slight smile the original Problem Solving Challenges post “thinking outside the box”, I personally prefer to see concrete evidence of thinking inside the box, before asking my engineers to think outside the box. Thanks Peter. I love the idea of having process engineers work on the lines for a few days.